Set in spacious grounds about four miles from Beaumaris, overlooking Llanddona beach and Red Wharf Bay, Wern y Wylan Court is located in an Area of Outstanding Natural Beauty, surrounded by attractive countryside, forests and the stunning sandy beach of Red Wharf Bay, only half a mile away, all providing opportunities for scenic walks. 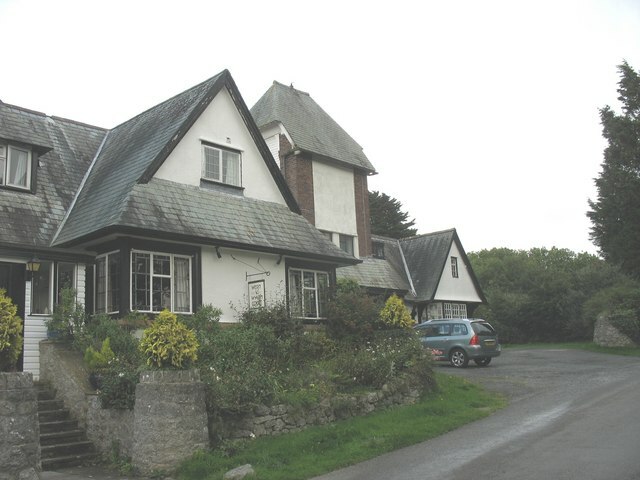 Built by Sir Harry Verney in the early 20th century, this wing of Wern y Wylan Court sleeps 8/10 people and is part of a unique hamlet which is a striking example of the Arts and Crafts architectural style. The Arts and Crafts movement was a British design movement that flourished between 1860 and 1910 led by the artist and writer William Morris which stood for traditional craftsmanship using simple forms and often applied medieval, romantic or folk styles of decoration in an anti-industrial statement. The design of the house features many distinctive aspects of that era combined with careful modernisation to produce stylish and comfortable accommodation. The dramatic octagonal shaped kitchen is so cool! The luxury modern kitchen is at the heart of the house, providing a bright and spacious area in which to use its very well equipped facilities. Prepare your dinner with the impressive Belling dual fuel Ranger Cooker with 5-burner gas hob including wok burner, keep the wine chilled to perfection in the free standing American style fridge freezer and then let the integrated dishwasher do all the washing up! The kitchen also has a microwave, toaster and a pine breakfast table with six matching chairs to enjoy breakfast with family and friends. A separate utility room has a washing machine, dryer, Belfast sink and a toilet. Distinctively decorated, the spacious dining room has a long rectangular wooden table complete with ten matching wooden chairs which are so reflective of the Arts and Crafts era. Enjoy dining at its finest with such classic furniture and plenty of room for everyone! The spacious lounge boasts a brick feature fire place and modern free standing log burner. Comfy seating is provided by a 4-seater settee, 3-seater settee, 2-seater settee, and armchair. The 50in LCD TV is a bonus and the collection of DVDs and Sky+ HD will keep you entertained for hours. Double patio doors open out to a balcony area which overlooks the private garden with panoramic views of the countryside. A stylish round table with stone mosaic inlay and eight chairs provide a perfect spot for relaxing with the morning paper. A solid mahogany French bridal canopy four poster bed complements this room. The bedroom has a 32in LCD TV with built in Freeview, a chest of drawers, two bedside cabinets and a built-in wardrobe. The large en-suite has a full size bath, a separate large walk-in shower unit, toilet, hand wash basin and a heated towel rail. This bedroom has a large king size bed, dressing table, a bedside cabinet, chest of drawers set and an arm chair. A walk-in wardrobe provides extra storage space. A 32in LCD TV with built in Freeview is an added bonus. The en-suite has a full size bath with over head shower, a toilet, hand wash basin and a heated towel rail. Contains a double bed, two bed side cabinets and a built-in wardrobe. This large bedroom has two single beds, two bed side cabinets, and large fitted wardrobe. This modern family bathroom has a full size bath, separate walk-in shower unit, hand wash basin and toilet. The lounge has a 50in LCD TV with Sky+ HD, DVD player and a variety of DVDs. Bedrooms 1 & 2 each have a 32in LCD TV with built in Freeview. The property has the benefit of a large private garden overlooking hills, trees and sea side views as well as a private parking area. Summer isn't summer until you've had a good barbeque, and Wern y Wylan Court provides the perfect opportunity for grilling glory! The path through the garden leads to a paved area with an outdoor brick BBQ which is the focal point of this outdoor dining area. The slate roofed BBQ area is great for the 'boys' to grill a feast for those balmy summer evenings. A large oval wooden table complete with eight matching wooden chairs provides a perfect spot to read the morning papers or to dine with all the family, enjoying the BBQ feast!. This elegant seaside town with its 13th century castle, old court house and jail, museums, specialist shops, fine Georgian houses, golf course, fishing trips and cruises to Puffin Island, 'olde worlde' pubs and restaurants, and annual Arts Festival each May is not to be missed. Benllech is a popular sea side destination. The Anglesey Coastal Path and the Wales Coat Path pass through Benllech. Lovely sandy beach ideal for building sandcastles and the rock pools are great for catching crabs! Beach rangers patrol the beach in the summer months and provide organised games for the kids. The beach is family friendly with toilets and refreshments nearby. In the summer holidays it's a very busy beach but the beach is wide enough to find a quiet spot if you so wish. Sections of the beach are 'No dogs' but there are plenty of areas where dogs are allowed. Dulas Bay is located on the north east coast of Anglesey, North Wales. There are three beaches within the bay. Traeth Bach (Welsh for small beach), and its neighbour, the larger Traeth yr Ora (secret beach), although this sandy beach is small, it is perfectly formed. There are no facilities other than a set of steps to gain access to the beach. Car parking is some 3/4 mile away at Lligwy Beach, but it is well worth the walk. At the northern end of the A5025, Amlwch is a historic fishing village associated with the 'Copper Kingdom' of Parys Mountain whereas Cemaes Bay is an attractive beach resort, close to Cemlyn nature reserve and Church Bay (Porth Swtan) with its tall cliffs and the oldest fully restored cottage on Anglesey. The National Trust heritage coastline boasts mile after mile of uninterrupted walks along the coastal path. Also at Church Bay is the locally renowned 'Lobster Pot' restaurant and 'Wavecrest' coffee shop at the end of the coastal path with its speciality cream teas as well as many other homemade delicacies. This area is excellent for all water sports, cycling on the local and national networks, fishing at Llyn Alaw, walking the Anglesey Coastal Path or just quiet reflection. 1200 Click Throughs => £600 based on an example £0.50 cost of a click through from Google pay per click. 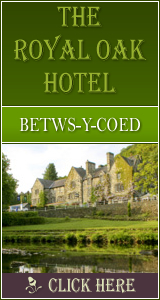 The click through ratio to this accommodation provider's own website is 28% .